At some point this past August in Montana, Missoula County’s daily air quality updates — peppered with chatty jokes about the apocalyptic sky outside our windows and wry recommendations to avoid outdoor exercise — stopped being funny. The gray miasma that had covered the city lost its novelty, though the fantastic sunscapes — the sharp evening shadows by early afternoon and the ominous beauty that the poetically inclined find in destruction — lingered. Unfortunately, the blanket of gritty air did, too. All the commiserating small talk with grocery store cashiers and detailed explanations of what we were breathing and where it came from could not lift the pall, figuratively or literally. Smoke — plumes of it streaking across satellite maps from Lolo and Glacier and Seeley Lake and unfurling seamlessly over state lines — became all too familiar, even as the fires that spouted it threatened evacuations and stressed state budgets to breaking. In Missoula County, Sarah Coefield, the air quality specialist, included mental health resources in every update. Edward Struzik’s new book, Firestorm: How Wildfire Will Shape Our Future, describes so many North American conflagrations that they, too, begin to seem almost ordinary, the fires that now burn bolder every day — just another of climate change’s many Horsemen of the Apocalypse. Struzik guides his readers through the ecological, social and political factors that led to the major fires of recent decades, including the century of fire suppression that built up fuel, the changing conditions that spin fires into furies and the inconsistent policy preparations across vast and varied fire-prone regions. The book is part prognosis, part play-by-play, and part resigned admission that as much as we know, or think we know, about how to live under perpetual threat of ever-greater disasters, nothing about future fires is guaranteed except that they will come galloping. The far-flung points on Struzik’s map deliver the book’s most searing message: No forest, no fire, is isolated. Story after story delivers a similar account: the lucky turns of weather versus unexpected fire behavior, the constant complaints about inadequate resources. The research showing the global travels of smoke plumes makes the point on a molecular level, too. Mercury, arsenic, carbon, asbestos — what once was buried will be unearthed, and once it is unearthed there is no wall to stop its spread. This skyscape was the scene many people in Fort McMurray saw hours before all 88,000 residents were asked to flee the city. 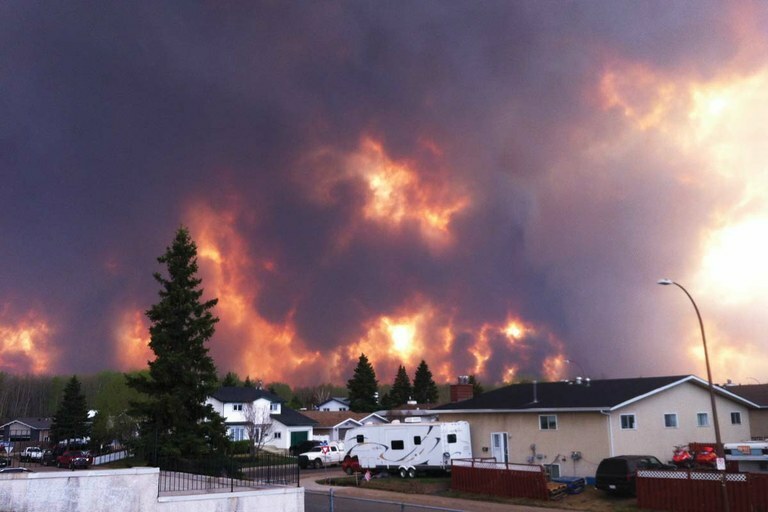 Firestorm opens with the Horse River Fire, nicknamed “the Beast,” a 2016 runaway wildfire near Fort McMurray in Alberta that burned 2,800 homes and nearly 1.4 million acres. It consumed billions of dollars and surprised firefighters at nearly every turn, and the fact that almost everyone living nearby escaped was more miracle than management. Struzik compares the fire to a hurricane or a tornado — with the stark difference that people in a tornado’s path rarely think they can stop it. The contrast between the extraordinary power of megafires and people’s belief in their own ability to contain them is striking. Arrogance, ignorance, careless chance — people start fires and underestimate them, ignore humbling lessons and move closer to danger. Instead of being seen as a crucial part of integrated ecological cycles, wildfires become overwhelming, menacing, supernatural. Like many other animals, grizzly bears do well in landscapes that have been burned by fire. 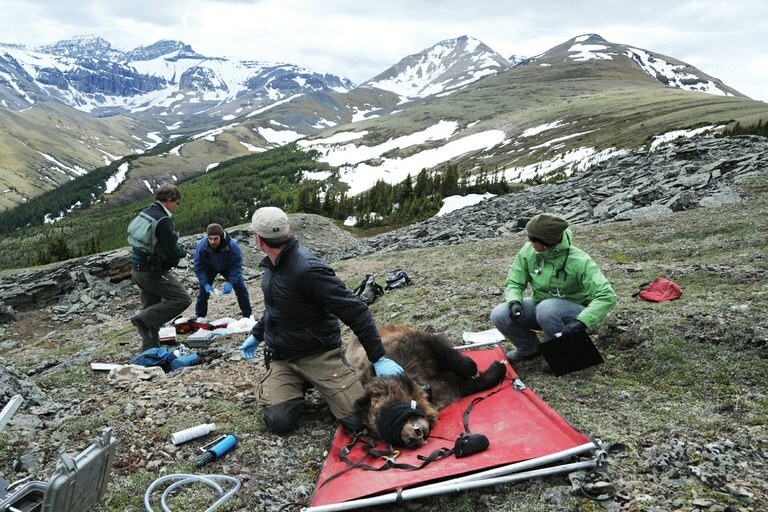 Biologist Gordon Stenhouse studies G-16, a small bear he captured first in 1999 and then again more than a decade later. Struzik punctures much of the mystery by explaining soil cycles and water pollution, funding and smoke particulates. In chapters that connect science to history, he offers a clear view of what has happened and what’s at stake. But his elaborate retellings of what happened during specific fire events over the last century lose clarity in all the chaotic play-by-plays of phone calls, weather patterns and evacuation orders. Timelines get tangled; contextual asides intrude at key moments and are then left dangling. For a reader intimately familiar with these fires, the level of detail may offer some insight. But those more interested in the future Struzik promises to forecast are left to make the larger connections on their own. 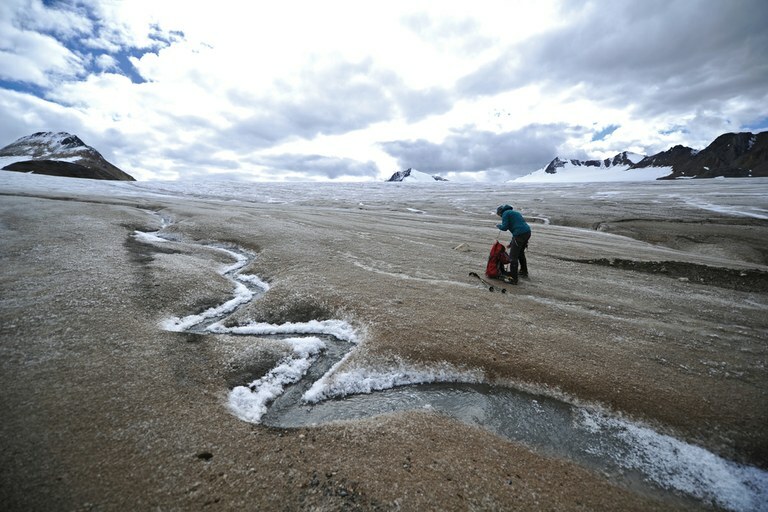 Soot from wildfires in the Arctic is darkening the surface of glaciers, like this one in the Canadian Arctic, accelerating the melting that is already taking place. The thread that weaves through every chapter is clear, however. Megafires — whether seen as natural disasters, nightmarish calamities or policy mismanagement in action — will continue. They will become worse and more frequent. The wildland-urban interface will be more threatened. That thick summer air will return to block out sunlight and push us back indoors to clutch our air filters and grouse about stolen blue-sky days. Struzik reminds his readers again and again that whatever has happened already, no matter how severe and stunning, isn’t done happening. It’s clear how huge a role humans have had in getting us here. The question left unanswered is how we might cope with what happens next.